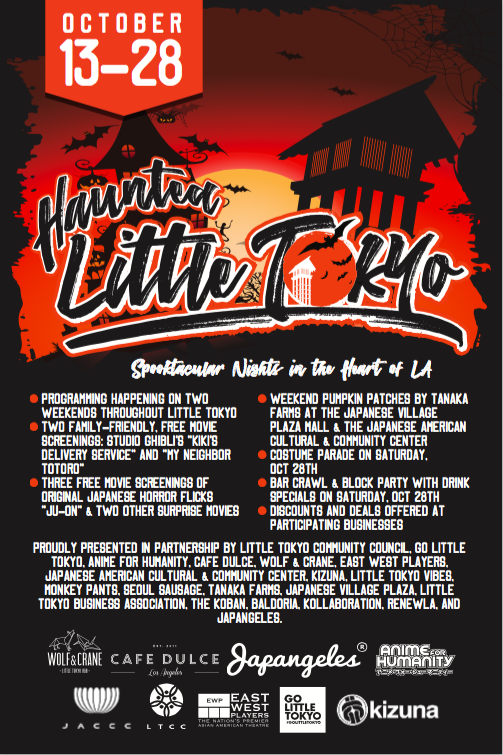 Join the Little Tokyo Community Council and all our many partners for our first ever, community-wide Haunted Little Tokyo! Events run throughout October, culminating in a block party on Saturday, October 28th. This website is a work in progress. In the meantime, check out our tumblr for news!